It's surprising how little we really know about Red Dead Redemption 2 despite its new October release date. Sure, we have a handful of trailers, but most we know about the game are surface level. 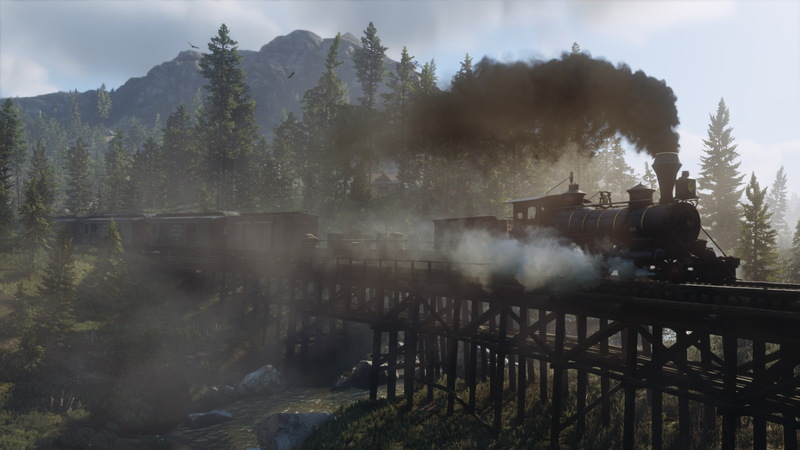 However, a nearly unveiled leak suggest that there's a lot going on in Red Dead Redemption 2. Trusted Reviews recently felt comfortable sharing some leaks the publication received. Neither the site nor USgamer could substantiate the information, so please be sure to get a heaping of salt to take alongside these rumors. 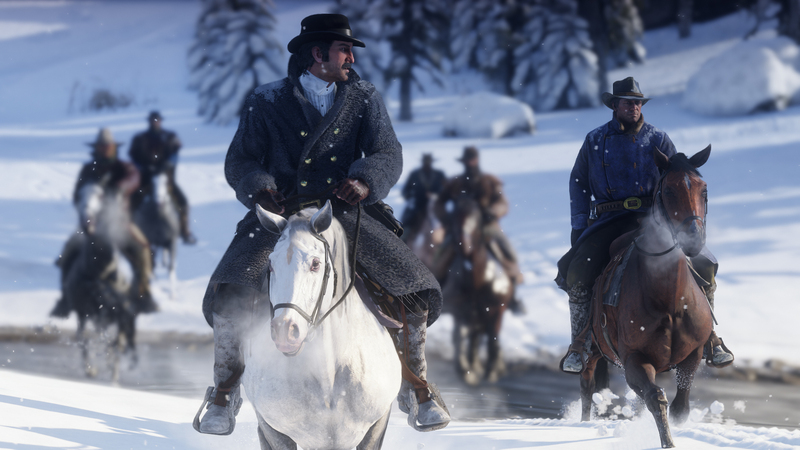 The supposed leaks already predicted the game's main characters, Arthur Morgan and Dutch Van Der Linde, but they also say that the single-player campaign will take place over a huge open world including locations like Armadillo and Ridgewood. Trains will become a mode of transportation alongside horse drawn carriages, inecarts, and handcarts. Gambling returns in the form of poker, alongside other side activities like horsemanship challenges, and a pretty in-depth fishing system. 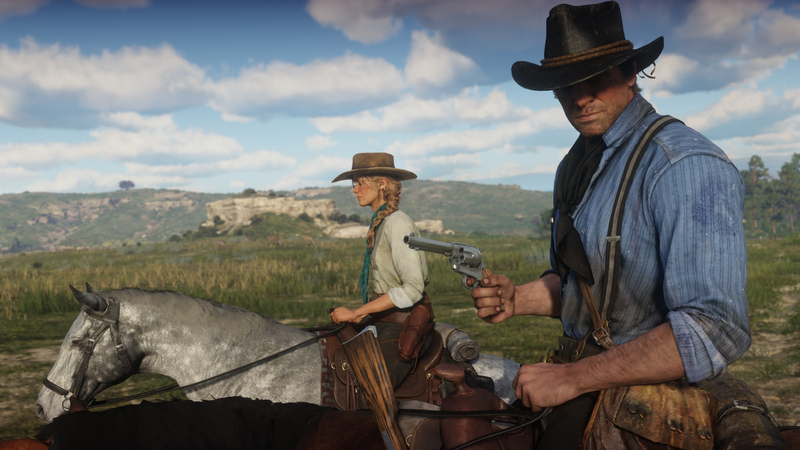 Like with Grand Theft Auto V, there will be a first-person mode for both single-player and online multiplayer in Red Dead Redemption 2. The leaks mention bespoke animations for the perspective. Online play will also be included, but perhaps the biggest reveal is that alongside competitive multiplayer modes like Revive, Survive, and Money Grab, there will be a Battle Royale mode. No word on whether this is similar to the ones found in games like PlayerUnknown's Battlegrounds, but if true then this is pretty big news. Red Dead Redemption 2 will also have an open-world online mode with sophisticated NPCs that will decorate storefronts in the morning, and pack them at night. There are a variety of ways to earn XP in online mode and you can even purchase your own customizable tent. Lastly, there is mention of a companion Red Dead Redemption 2 mobile app that will include "social elements" and a poke minigame. These details are still unconfirmed, and despite receiving these leaks in August 2017, Trusted Reviews only felt comfortable publishing them recently. So again, we'll have to wait and see if these details end up coming true. Red Dead Redemption 2 is scheduled to come out on October 26 for PS4 and Xbox One.